Are your customers suffering from sluggish WiFi due to a patchwork of outdated access points that just end up interfering with each other? Perhaps you took the first step and installed the perfect router for their needs - the state-of-the-art DrayTek 2925, one of the most powerful and feature-rich SMB routers on the market. But your outdated wireless access points cannot keep up with the high-performance routers and you're still experiencing a bottleneck, affecting overall customer experience. 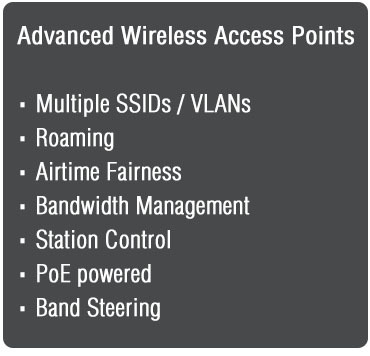 It's time to upgrade your wireless with DrayTek's SMB wireless solution. With the addition of the AP 902 and the ceiling-mounted AP 910C to DrayTek's line of access points, DrayTek now offers blazing WiFi speeds with the 802.11ac protocol. This is the latest in DrayTek's lineup of 802.11ac wireless models, including the 2925ac and 2860ac variants, with Gigabit wireless speeds on their 5GHz frequency bands. But super fast wireless speeds are not the only claim to fame for these sleek little devices. The DrayTek wireless access points AP 910C and AP 902, offer a range of features for seamless WiFi operation that make them perfect for SMBs and hospitality applications. Still not convinced? 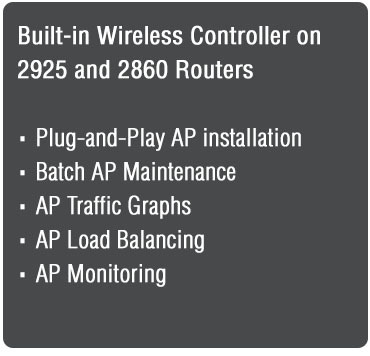 What if we tell you that the 2925 and 2860 routers offer a built-in access point controller to manage up to 20 DrayTek access points? Enjoy the ease of plug-and-play installation for all your access points from one central interface at no additional cost.